It appears Rajasthan is now the wedding destination for film stars. It appears Rajasthan is now the wedding destination for film stars, with many preferring to hold the ceremonies in Jaipur or Jodhpur. 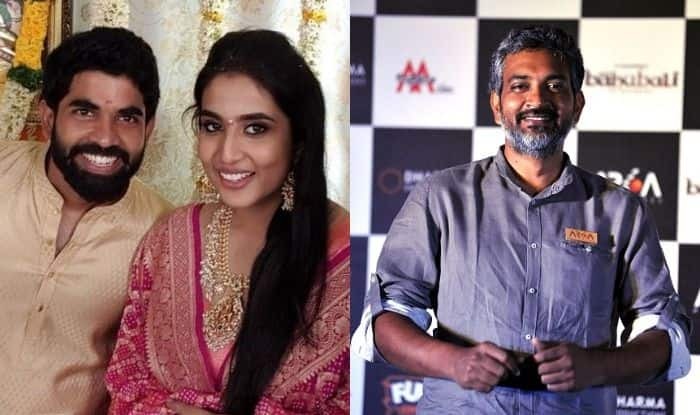 Next up is the wedding of Baahubali director SS Rajamouli‘s son SS Kartikeya, who will be tying the knot with south Indian singer Pooja Prasad on December 30. Rajamouli and his family have already arrived in Jaipur where the marriage will take place at Hotel Fairmont on Jaipur-Delhi National Highway near Kukas. According to The Pinkcity Post, Kartikeya and Pooja will be married as per south Indian rituals which will also have a royal Rajasthani touch. Sources have revealed that the marriage festivities will begin on December 28, and that the mehndi and sangeet ceremony will take place on December 29 followed by the wedding on Sunday. A good number of guests have been invited, including several south Indian film stars, Bollywood stars and the Baahubali star cast. Among those who would be present are director Karan Johar and actress Sushmita Sen. Guests will be treated to Rajasthani culture and hospitality during the three-day festivities. It was further revealed that guests have already started arriving in Jaipur, with actress Sushmita Sen spotted at the airport with her family on Friday morning. This is not the first celebrity wedding that Rajasthan has seen or will be seeing, as earlier, actress Priyanka Chopra had tied the knot with singer Nick Jonas at Umaid Bhawan Palace in Jodhpur. Another big event was by the pre-wedding festivities at The Oberoi Udaivilas in Udaipur held for Mukesh Ambani’s daughter Isha Ambani, who tied the knot with Anand Piramal.